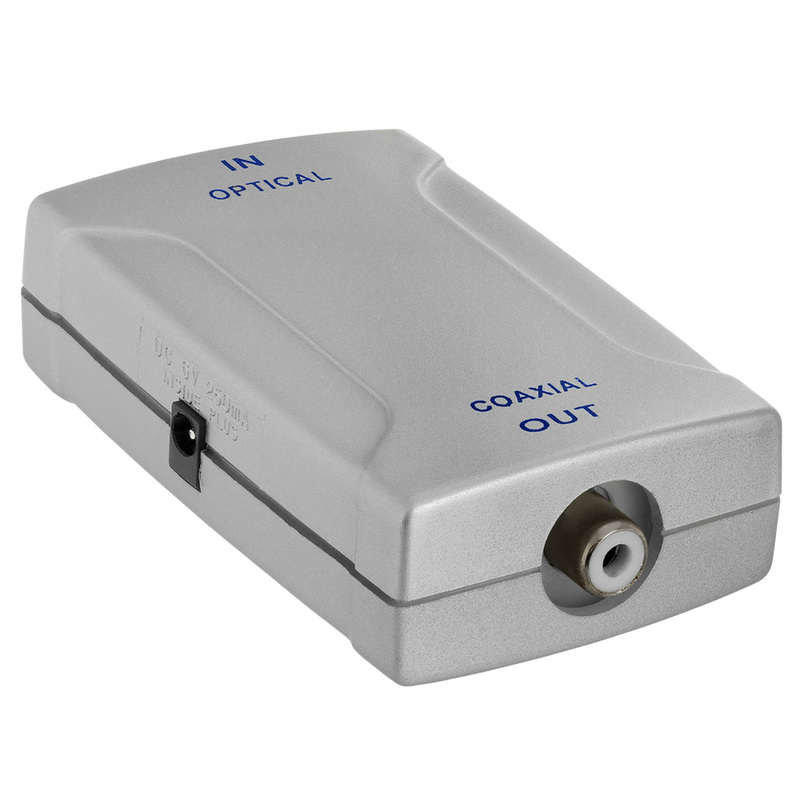 Digital Audio Signal Converter device converts Optical TosLink Plug (IN) to Coaxial RCA Plug (OUT). This converter will transform your Toslink Optical Digital Audio signal to an RCA Coaxial (S/PDIF) Digital Audio signal. 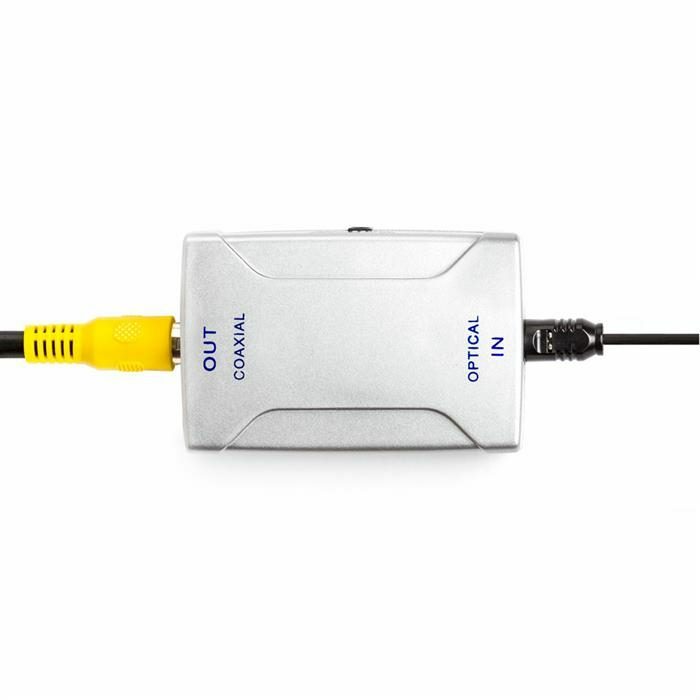 It will allow you to connect the Toslink optical output from your DVD, satellite or cable receiver to a coaxial digital audio input. 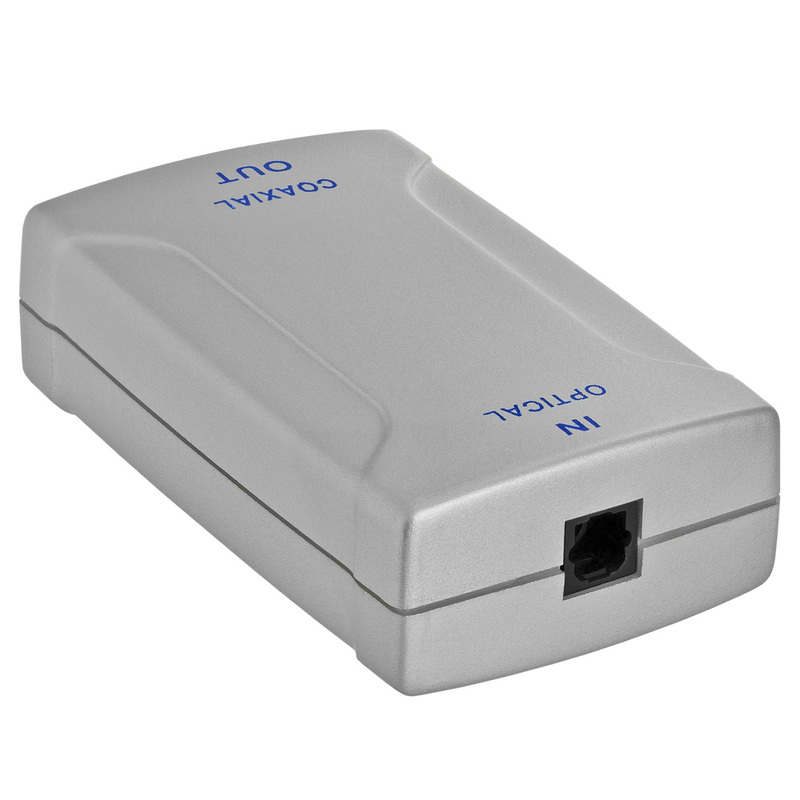 The compact size of this unit lets you place it almost anywhere. 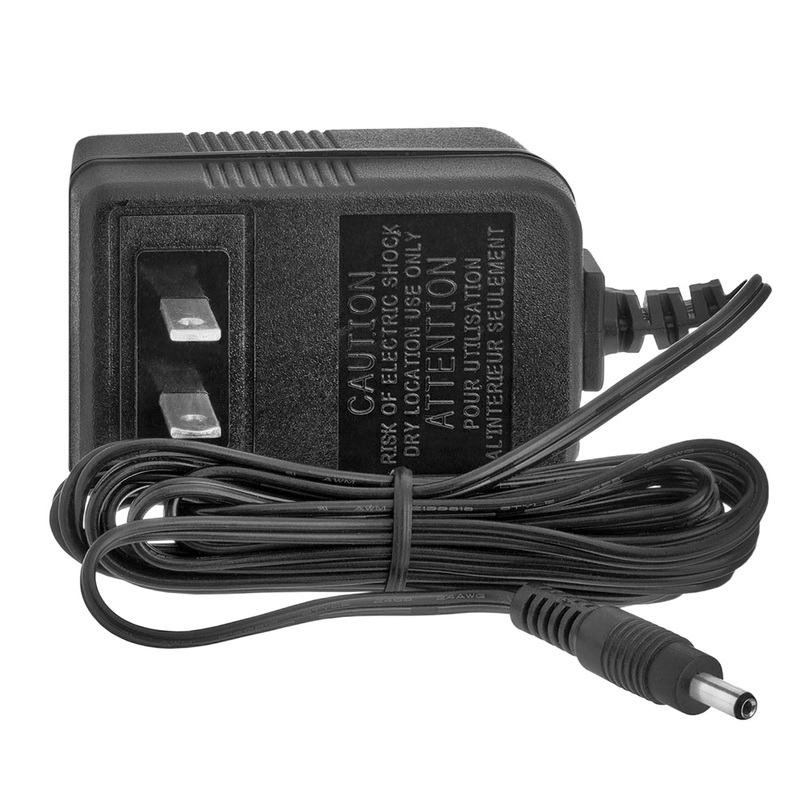 Installation of this device is simplified to the maximum - just plug in your two cables, plug in the power supply and you are good to go! Please note that this device does not convert digital TosLink to analog mono RCA.